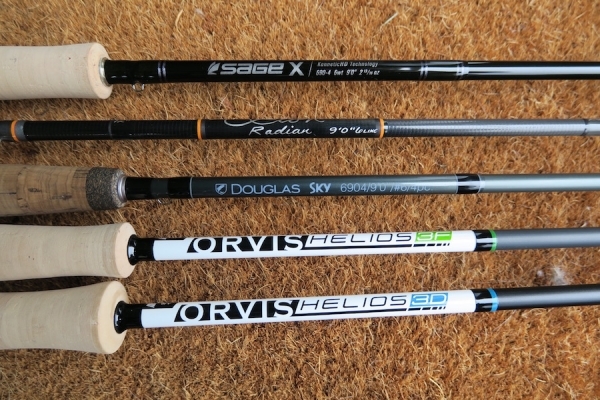 Rods: If I were to travel to Patagonia and could bring only one rod, it would be a 9' fast action 6 weight. Ideally you would bring two of them! One rigged up with a floating line and the other with a 200 grain sink tip. This is the best option while floating and it provides insurance in the event that you break a rod. A 9' fast action 5wt is also a great choice for dry fly fishing the rivers and lakes of Patagonia on less windy days. 7 weight rods also make great streamer rods loaded up with a 200 or 250 grain sink tip. 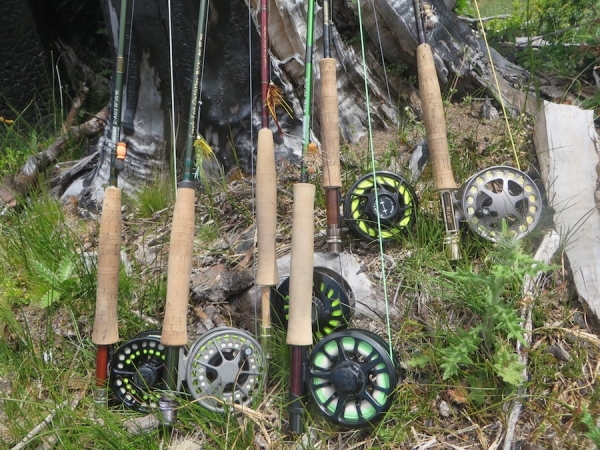 Rarely do I fish a 4 wt rod in Patagonia because you will be using tippets between 1x-3x most of the time, the fish are larger, the flies bigger, and it can be windy. Reels: I like large arbor style reels. Again, if you have only one 6wt with you then you need an extra spool. One spool would have a WF 6 floating line such as the SciAngler MPX and the other spool a 200 grain sink tip such as the SciAngler 25 Sonar Cold. Flies: Having a massive fly selection is nice but rarely the solution while fishing in Argentina or Chile. A good presentation on the other hand is your best friend. Some of the flies I would not leave home without are as follows. -Chernobyl Ants size 10-6 in tan, black & dark brown. -Olive & black wooley Buggers size 8 & 6. Rubber legs are best! -Fat Albert beetles size 10-6. Black, tan, yellow. -Hoppers size 12-8. Dave hopper one of my favorits. 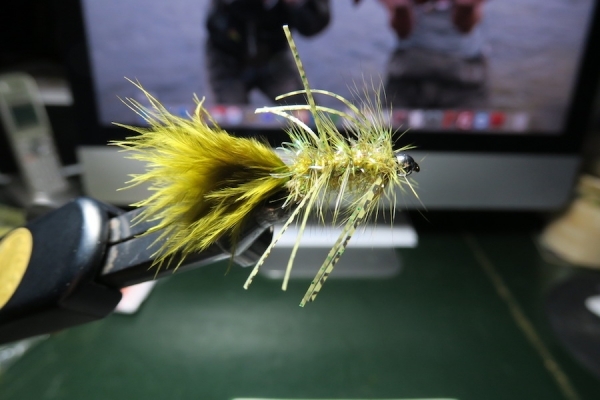 -Caddis flies size 16 & 14. Elk Wing, X caddis & emerger patterns. 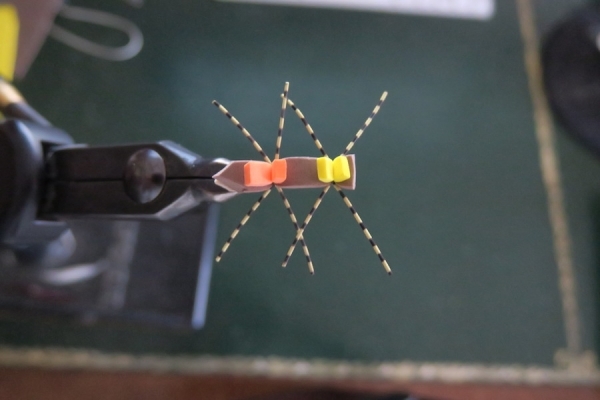 There are, of course, many, many other flies that will be effective and the best fly will often change from year to year and even from week to week but these are the staples that you should bring to Patagonia. Tippet Material: I prefer flourocarbon for all my tippet matterial but standard nylon is OK. Bring spools of 0x through 5x. Rarely do we need to drop down to 5x while fishing in Patagonia! :-) 90% of the time it is 1x, 2x or 3x! Leaders between 7-12 feet depending on the situation. Waders & Clothing: I like the lightest waders & boots I can find. They pack easier, but bring what you have. There will be weeks that are sunny and warm and the waders will never leave your bag, but you must bring them in case of rain or colder weather. Rain pants are great to have! Fleece and a good rain jacket essential! While floating I am most often wearing light shorts or pants with wading sandals. Air temps. can be from 45 to 90 degrees during Jan, Feb or March. Note: Once your trip is booked a more comprehenive list of what to bring and what to expect will be sent to you.